Custom lineup cards for college softball teams -- printed with the school's name, logo, and even the roster! 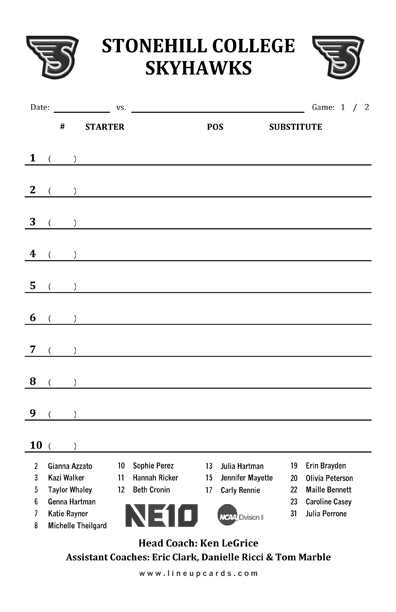 Our softball lineup cards are available in black and white or color and are printed on carbonless copy paper as a 4-part form so coaches can write on the top sheet and the lineup copies to the 3 sheets under the original. These are available as 4-part paper or 4-part with 4th sheet cardstock. Carbonless copy paper is called non-carbon copy paper or NCR paper/forms. 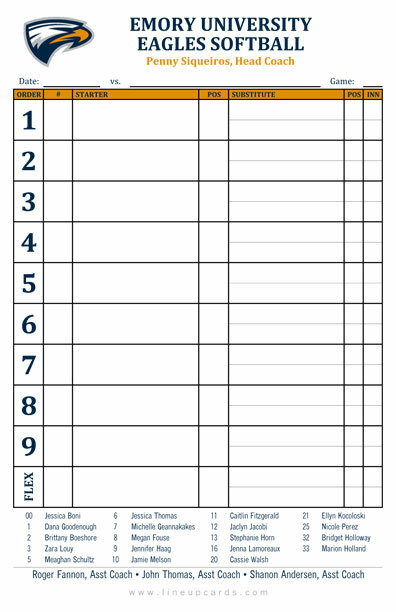 In addition to the 4-part lineup cards, we can also accommodate orders for 2-, 3-, 5-, and 6-part custom lineup cards.